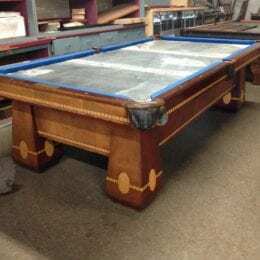 We stock a revolving selection of highly sought after antique pool tables, as well as entry level used pool tables. 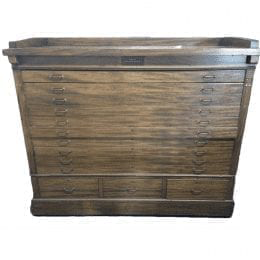 We also have in our inventory a variety of antique racks, cues, and accessories. Whether you are looking for a weekend project, or an heirloom table that’s ready to go, we have you covered. If you are looking for something in particular that you don’t see, send us an inquiry and we will do our best to help track it down!